Christina Freeman is an interdisciplinary artist based in New York City. Her work takes on various forms including photography, video, artists’ books, multimedia installation, participatory performance, and curatorial projects. Whether initiating spontaneous conversation with viewers in public space, or working with an anthropologist or another artist, her practice has a porousness that relies on the participation of others. Creating unconventional rituals, she invites the audience to join in disrupting dominant cultural norms. Intervening in systems often taken for granted, she approaches culture as something we actively shape together. She received her MFA in Studio Art from Hunter College, City University of New York in 2012 and her BA in Spanish and Latin American Studies from Haverford College in 2005. Freeman’s projects have been featured in Hyperallergic, Art F City, and Greenpointers, as well as Bulgarian National Television and Radio. Christina was a Visiting Assistant Professor in the Department of Fine Arts at Haverford College from 2016-2018 and has taught in the Department of Art & Art History at Hunter College since 2014. Community-building through transformative conversation motivates all of her work, regardless of whether she is performing, curating, or teaching. Ebony Noelle Golden is a performance artist, scholar, and strategist. Recent and forthcoming works include: a 2018 residency production of wash'd// (an evening-length performance ritual), a 2019 Open Call Commission by The Shed, a 2019 world premiere commission by The National Black Theatre, and a 2018 public artist residency (PAIR) with the Office of Cultural Affairs and The Mayor’s Office to Combat Domestic Violence. Golden creates site-specific rituals and live art installations that explore the complexities of freedom in the time of now. She is a resident artist at Hemispheric Institute for Performance and Politics at NYU and also lectures on black feminist/womanist theatre and experimental performance at New School and community-based practice in the M.A./M.F.A. program in Performance and Performance Studies at Pratt. Additionally, Ebony serves as the founding CEO and principal strategist at Betty’s Daughter Arts Collaborative, LLC, a culture consultancy and arts accelerator based in NYC. BFAMFAPhD is a collective that employs visual and performing art, policy reports, and teaching tools to advocate for cultural equity in the United States. The work of the collective is to bring people together to analyze and reimagine relationships of power in the arts. BFAMFAPhD received critical acclaim for Artists Report Back (2014), which was presented as the 50th anniversary keynote at the National Endowment for the Arts and was exhibited at the Brooklyn Museum, the Museum of Art and Design, Gallery 400 in Chicago, Cornell University, and the Cleveland Institute of Art. Their work has been reviewed in The Atlantic, the New York Times, the Washington Post, the New Yorker, Andrew Sullivan’s The Dish, WNYC, and Hyperallergic, and they have been supported by residencies and fellowships at the Queens Museum, Triangle Arts Association, NEWINC, and PROJECT THIRD at Pratt Institute. 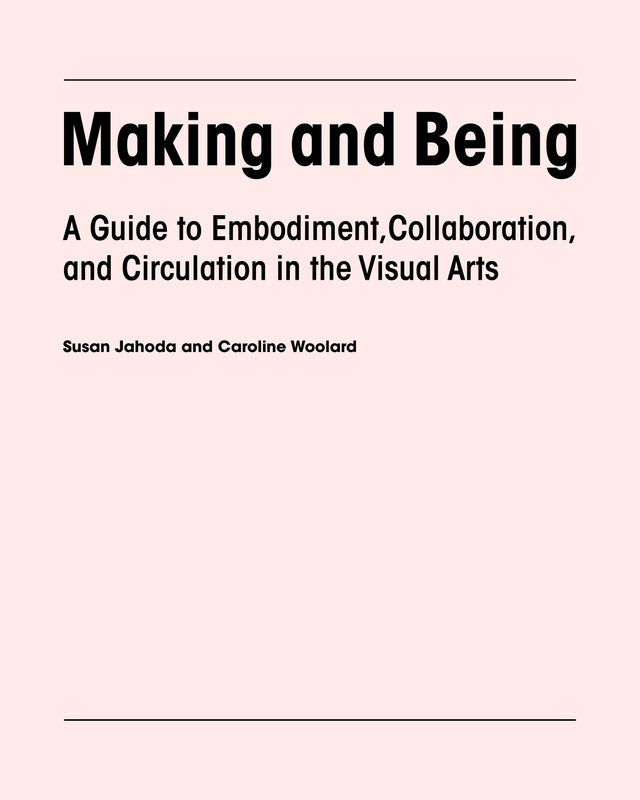 BFAMFAPhD members Susan Jahoda and Caroline Woolard are now working on Making and Being, a multi-platform pedagogical project which offers practices of collaboration, contemplation, and social-ecological analysis for visual artists. Her project "The Collaborative Urban Resilience Banquet" (aka The C.U.R.B.) uses the act of urban foraging and the projected "what if" disaster scenarios of climate change to examine critical issues around food and food sovereignty, land access, environmental remediation, multi-species interdependence, and right relationship(s) with the (un)natural world. She is currently documenting her learning experience via the project's instagram handle, @the_c_u_r_b and throughout 2019 will be hosting a series of 'banquets' foraged entirely from the city streets. 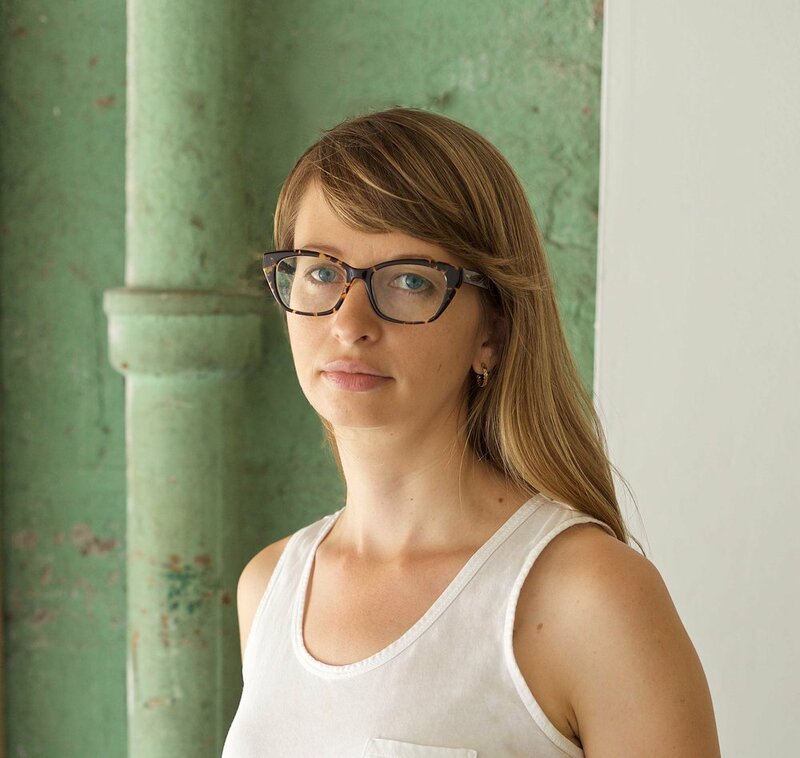 She is a Fellow with More Art's Engaging Artist's Program and will be taking part in Residency Unlimited's 2019 Dirt and Debt residency program. Sherese Francis is a southeast Queens-based poet, speculative fiction writer, blogger, workshop facilitator, and literary curator. She has published work in journals and anthologies including No Dear, Apex Magazine, La Pluma Y La Tinta's New Voices Anthology, The Pierian Literary Review, Bone Bouquet, African Voices, Newtown Literary, Blackberry Magazine, Kalyani Magazine, and Near Kin: A Collection of Words and Arts Inspired by Octavia Butler. Additionally, she has published two chapbooks, Lucy’s Bone Scrolls and Variations on Sett/ling Seed/ling. Sherese is currently the poetry editor of SpokenBlackGirl.com and co-editor of Harlequin Creature’s Social Justice Subscription Series. Her other projects include her Afrofuturism-inspired brand, Futuristically Ancient; being a core member of the Southeast Queens Artist Alliance; and her southeast Queens based pop up bookshop/mobile library project, J. Expressions. Katherine "Kat" Cheairs is a filmmaker, educator and activist who utilizes moving image arts as a healing modality. Katherine has designed and taught numerous courses and workshops in media arts for school and community based organizations focused on adult and K-12 populations, which include, neurodiverse and on the spectrum individuals; incarcerated youth and adults; new immigrant and English language learners. Kat's focus is on individuals who would not have access to formal filmmaking education and using it as a practice to explore the self and archive the personal narrative. Katherine has worked with such organizations as, The Film Society of Lincoln Center, BRIC Arts Media, The Tribeca Film Institute, and Four Freedoms Park Conservancy. Katherine is currently Director of Education and Public Programs at Howl! Happening: An Arturo Vega Project and will begin a Doctor of Education Program in Art and Art Education at Teachers College, Columbia University in Spring 2019. Kat is also the producer and director of Ending Silence, Shame and Stigma: HIV/AIDS in the African American Family and is a member of the What Would an HIV Doula Do? collective. Ms. Cheairs is from Atlanta, GA and lives in Brooklyn, NY. Régine is a dynamic storyteller who uses photographs/film/performance to create acts of social resistance to stoke the collective imagination and keep alive new ways of seeing. For the past two years, she lived in Benin, West Africa, conducting research, teaching, completing her "Brooklyn to Benin: A Vodou Pilgrimage" mixed-media project and directing/producing three short films. While in West Africa, she created the WaWaWa Diaspora Centre - to actively heal historic wounds and trauma related to the TransAtlantic Slave Trade through inter-generational arts, education, and exchange programs. Régine is a 2018 EMERGENYC Fellow (NYU’s Hemispheric New York Emerging Performers Program) and is a BRIC 2018 Brooklyn Free Speech Podcast Fellow. In September 2018, Régine launched a new podcast entitled "Vodou Roots: A Love Story Musical via BRIC's Podcast Fellowship available via iTunes and SoundCloud. She is a NYSCA 2015 Folk Arts Apprentice and is an A.I.R. Gallery 2011 - 2012 Fellow. Régine is the editor of Diaspora Diaries: An Educators Guide to MoCADA Artists (2009) and her photo essay on Haiti, including photos from her exhibition “Portraits for Self-Determining Haiti,” is featured in Meridians, Vol 11, No. 1 (2011), a journal published by Indiana University Press. Her photographic work on Vodou appears in MFON: Women Photographers of the African Diaspora (2017) and her work was included in the MFON’s exhibition of Altar: Prayer, Ritual, Offerings at Photoville (2018). She has over 20 years of experience teaching, training, and supporting diverse populations utilizing memory, arts/creativity, critical analysis, social justice activism, mediation, humor, and mindfulness as key pillars in her work. As a visual and performing artist, she makes use of mixed-media tools to promote love, understanding and respect by addressing issues of discrimination and misrepresentation through participatory and reflective learning practices. She has served as a consultant with clients that include – New York University, NYC Department of Education, Flanbwayan Haitian Literacy Project, the Smithsonian Institution, Schomburg Center for Research in Black Culture, Through A Lens Darkly documentary, and Mind-Builders Community Folk Culture Program. Régine received her BS in International Studies from Bowie State University (HBCU) and MA in Photography and Urban Culture from Goldsmiths, University of London.